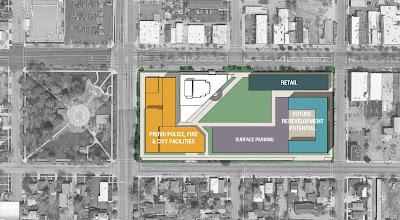 In August, the Municipal Council passed a resolution providing for a local special bond election for the purposes of “acquiring, constructing, and equipping in the downtown are a new police and fire headquarters, emergency dispatch center, and city hall.” As Provo residents have sought to understand the reasons for and parameters around the Provo Police, Fire, and City Facilities Bond, the Council and Mayor worked to answer questions particular to the location of the new facilities. The Mayor and Municipal Council of Provo presently and firmly intend to build the new police, fire, and city building on the same block as the current city building, but at the west end of the block, along 500 West. 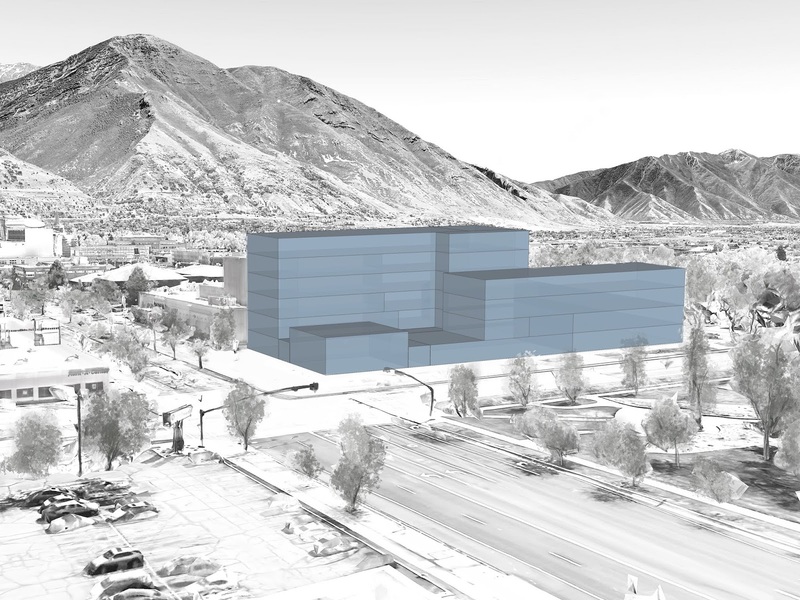 While we’re open to other locations in Provo’s downtown and will take a careful look at meaningful opportunities, only a truly great alternative would entice us away from our present plan. We are excited for the opportunity to bring new businesses, attractions, and vitality to Center Street once the current city building is gone. We look forward to exploring these possibilities in the near future. 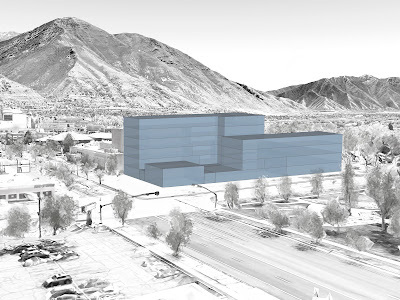 Information regarding the bond election and proposed facilities will be updated regularly on the Provo City website: provo.org/government/city-center-bond. The illustrations below show the general layout anticipated based on the space needs for each part of the facility. Because the downtown city blocks are the same size, if another location opportunity arises, this design would work for any location. No temporary location would be needed with this plan as employees would be able to continue working in the current facilities until the new ones are ready. The final look and materials won't be decided until funding is in place. The blocky gray look is just to give an idea of height and space.